I am writing to you concerning the above article, which was published online in the Art Newspaper on 2 July 2018, in order to clarify a number of the points you attribute to me contained with it. I believe the current published version is likely to confuse and mislead readers as to the contents of the conversation that actually took place during our telephone interview in June this year. As I noted during our conversation that while a ban will not help the elephants that supplied the ivory used in the antiques, the UK ban is an important element to the international response to bring down poaching of elephants for their ivory. 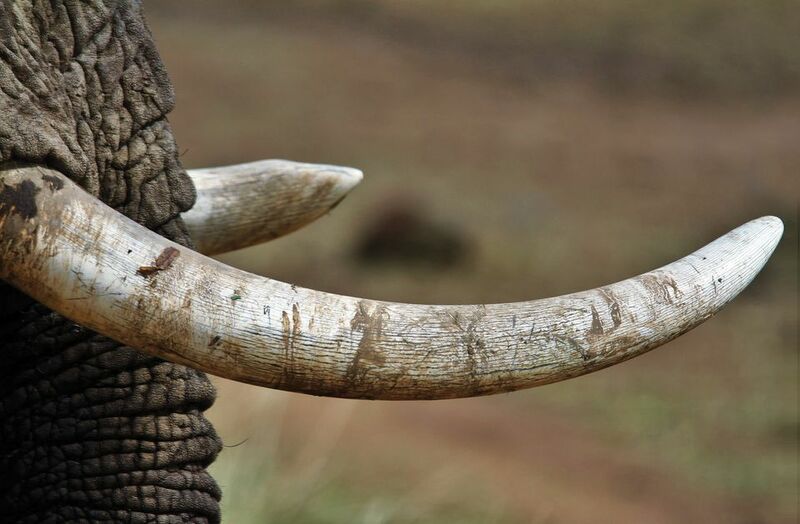 Though the major flows of newly poached ivory supply the current markets in Asia, the regulatory and enforcement efforts in those countries may be confused by ongoing re-exports of older items from Europe and the US. “‘President Obama’s banning of the ivory trade in the US in 2014 was of much less consequence than the 2017 Chinese moratorium on the importation and working of ivory’”. Again, as I stated during our call, the US (and indeed forthcoming UK) bans are vital elements to the international response: it may not be those markets where the demand is currently highest, but the act of making and implementing these bans is hugely symbolic. Thus I find it disingenuous that you chose to interpret this as implying I considered the US ban of less consequence than the China ban. I do not consider ivory destruction events to be a foolish act, and I certainly did not use this term during our conversation. I did note that the jury is still out as to what the impact of such public events is—as very little research into this has been undertaken—with some claiming they affect the price of ivory, but others noting their hugely symbolic and powerful messaging that the ivory trade will not be tolerated. You neglected my point that destroying ivory puts it permanently out of circulation and thus unable to leak into illegal trade, which remains a possibility if it is stockpiled. This appears to be your interpretation of my comment above about the danger of stockpiled ivory leaking into illegal trade. In fact I believe such a move would be an extremely bad idea in the context of current market trends. Indeed, at the CITES meeting in 2016, TRAFFIC recommended that Parties reject proposals from Nambia and Zimbabwe for the resumption of international commercial trade in their ivory stockpiles. TRAFFIC’s policy is that we fully support the closure of all ivory markets contributing to poaching or illegal trade and urge all countries to make the necessary legislative, regulatory and enforcement measures to close those domestic markets as a matter of urgency. I can only assume that whatever TRAFFIC’s official position, expressed above, Richard Thomas personally has a more nuanced vision, because in our telephonic interview on 14 June he spoke very freely about the realities of the ivory market. I quoted him in my article in the July issue (The UK’s ban will on ivory sales will not protect elephants) as he did not say that he was speaking off the record, nor expressing his purely private thoughts. Looking at my notes, I see, for example, that he said, “A lot of fuss is being made about the UK being a major exporter of ivory but there is precious little evidence that there are tusks being exported via the UK—maybe in some plane touching down [which would be illegal already under existing legislation]”. The above letter half admits that this is the case, but says that “enforcement efforts in Asian countries will be confused by ongoing exports of older items from Europe and the US”. But Mr Thomas said to me that the Asian market was for new ivory, and TRAFFIC’s own detailed study in 2016 of the UK trade in ivory found almost no evidence of new ivory, whether worked or unworked, being sold here. In addition, from my own art-historical and direct knowledge of Chinese and Japanese taste, I know that there is negligible demand for Victorian fish slices with ivory handles and Regency tea caddies with ivory veneers (the kind of minor items that made up the great majority of English production in the 18th and 19th centuries when ivory imports were at their height), or even—rising up the artistic hierarchy—for 17th-century German beer tankards carved with buxom mythological nudes. What this letter shows is that the cause of banning the ivory trade has become an ideology in which the actual facts are being disregarded in the rush of the popular movement. Of course, elephant poaching is deplorable and anything that sounds as though it will stop it is attractive; no wonder that Conservative politicians, Michael Gove and Boris Johnson, have hitched themselves to this movement to make themselves more charming to the electorate. But what this letter admits are “symbolic” acts in the west will do little or nothing to stop the Asian trade, which, again, TRAFFIC’s own survey shows to be carrying on despite Xi Jinping’s decree to ban in it in China and despite the US having made it impossible to sell so much as an ivory-handled fish slice. Total prohibition has not had a good record of success in any field of commerce. Mr Thomas himself suggested a more sensible approach when he spoke to me, which was for the west to finance enforcement agents on the ground. Then a closely monitored release of mortality ivory could supply the Asian market, itself to be equally closely monitored. So far as the UK ivory market is concerned, instead of a complete ban that robs the owners of old, worked ivory of the value of their pieces, our politicians should look at the most recent French provisions, which allow the sale of items that have been worked before 1975 on condition that they are documented and officially recorded. This would be a pragmatic, useful and fair solution.